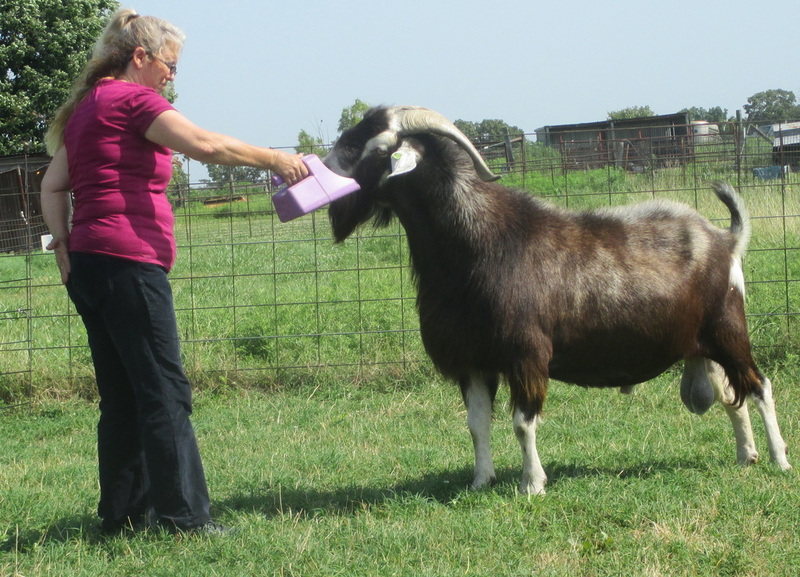 This is MWF VALENTINO he is our purebred NKR buck. We purchased Valentino at the NKR Elite Buck Sale at Springfield Mo. in 2012. Valentino is a big boy and he has big doe kids that make great moms with great udders. 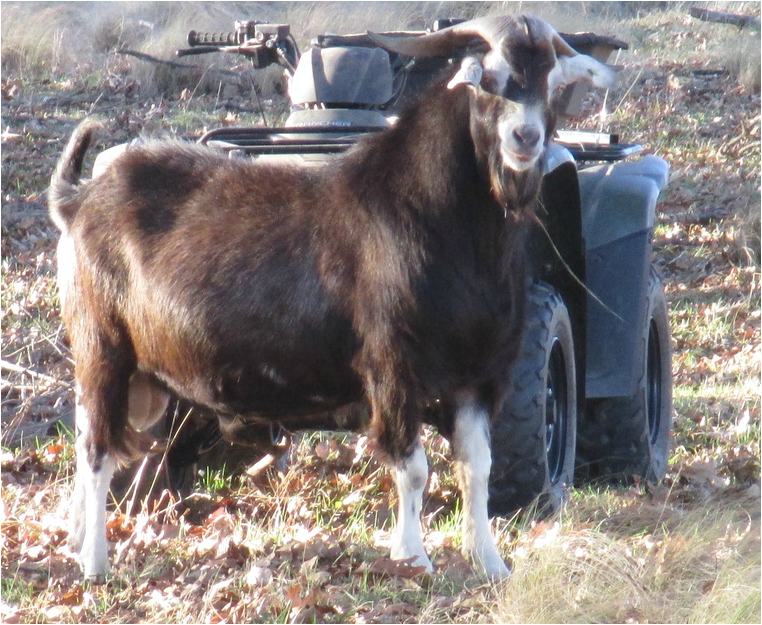 At Sanja Ranch we use on farm performance records to evaluate our goats.